As the famous Bob Dylan song goes, times, they are a-changin'. This applies to the surety marketplace as well. For several years, strong profits, inexpensive reinsurance and competition in the surety underwriting business have worked to a contractor's advantage. However, this may be changing and contractors may start to see underwriting guidelines become stricter. An article in the January/February 2018 issue of Construction Executive states Cristian deRitis, senior director at Moody's Analytics while speaking at the Dodge Outlook Executive Conference in November loosely earmarked 2020 for the next recession. Goldleaf Surety feels it is important for contractors to have a periodic surety checkup. A solid surety program can give a contractor an edge over non-bonded contractors. A solid surety program shows that the company has the financial wherewithal to tackle a job and fulfill its obligations. A company's bonding capacity is largely a reflection of the company's working capital, net worth and debt. Simply put, the stronger your balance sheet the greater your aggregate bonding capacity. In times of change, Goldleaf Surety Services is your constant in obtaining the best surety program available. For more information on bonds - or for help with your clients' bonds needs - log in to www.bigmarkets.com or email us at bigimarkets@iiaba.net and an underwriter will contact you. The Agents Council for Technology has launched a new Customer Experience Planning Website. This interactive online resource is designed to help agents understand the customer experience lifecycle and leverage technology to achieve the ease of doing business consumers expect. 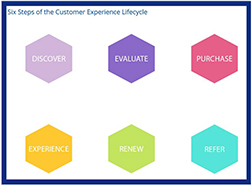 The site explains the six phases of the consumer buying experience- discover, evaluate, purchase, experience, renew and refer-and breaks down the technology touchpoints agents should focus on during each phase. Tools such as a responsive agency website, online reviews, eSignature, online chat and mobile account management all have a role to play as consumers move from being aware they need insurance all the way through their in-policy experience. The site provides clear descriptions for each phase and touchpoint, along with resources for agents to use to get started improving their agency's customer experience. "Based on your core customer needs, your agency may not want or need to implement every recommendation," says Ron Berg, ACT executive director. "However, ACT's Customer Experience Planning Website will help your agency identify the top one or two things you can do to set your agency's ease of doing business apart in this rapidly-accelerating digital age." Be sure to check out the Customer Experience Planning Website today. Learn more about ACT at www.iiaba.net/ACT. According to Forbes, small business makes up half of the economy as a whole. It is a $70 billion marketplace, with $40 billion within the CNA small business appetite. 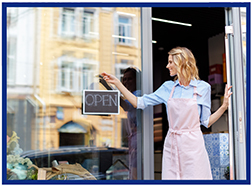 With nearly 120 years of insurance industry experience, CNA has developed a wide array of coverages to protect small businesses, highlighted by CNA Connect® their flagship business owners policy. NEW Pricing is Dead! Long Live Pricing! Insurance agents are losing their influence on policy pricing. Underwriters are rolling out new tools such as artificial intelligence, machine learning, big data, and cloud computing. As a result, agents must ask themselves, "What is MY role if I am no longer able to influence pricing for my clients and prospects?" Over the next several years, agents who disconnect their value proposition from the traditional "I can get you a great price" and relearn how to better service their clients will thrive. Those that don't will likely find there their performance levels quickly eroding. Attend this webinar and learn how to adapt to the process and change your game with solid strategies from instructor Frank Pennachio. 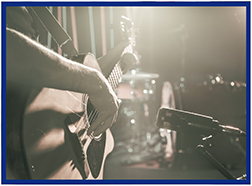 VU webinars offer comprehensive looks at industry issues. If you are looking for quick strikes of knowledge check out the VU's 20-minute Lightning Learning series that will focus on Personal and Business Auto Policies for the month of July. Please send any questions to VU staff. Autonomous vehicles are coming, the only question is when. Many evolutions and revolutions must occur before US streets are fully autonomous and everyone in the vehicle is nothing more than a passenger. For most PAP insureds, the business use exclusion is irrelevant. In practical application, the PAP extends coverage for the business use of a "your covered auto" provided it's not used to carry people or property for a fee (i.e., Uber or Lyft). Absent material misrepresentation in the application regarding the use of the vehicle, the PAP responds to an incident arising from most business use. Personally-owned autos belong on a Personal Auto Policy. However, sometimes you are forced by the insured to place the individually-owned auto on the BAP. Or, you add a personally-owned auto to the BAP without knowing it. Congratulations to our agent in Virginia on a Cyber Insurance - Coalition sale of $13,780 in premium!